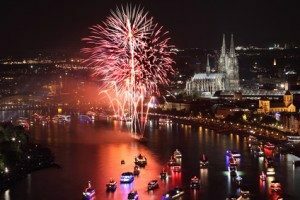 Like much of the world, Germany celebrates the coming of the new year (Neujahr) on January 1st. 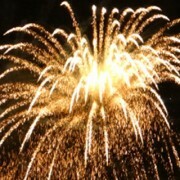 After the countdown and celebration of Silvester, it all culminates in the events of the 1st! Germans get together with friends and family in order to celebrate this wonderful new year’s day. And much like in the United States, they enjoy many foods, drinks and sweets to celebrate. Despite not being widely known, Germany actually has a strong Roman background. Rome invaded parts of Germany in 15 BC in the Alpine Campaign. The adopted sons of Caesar Augustus conquered the Alps and parts of the Rhine. This laid the foundations for a Roman-ruled Germania, which in 7 AD obtained it’s first Roman governor. 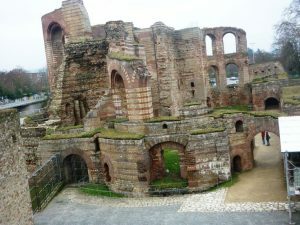 In the later part of the 1st century AD, the city of Trier in Southwest Germany was conquered. It was renamed Augusta Treverorum in honor of Augustus Caesar. For a time Trier even became the seat of Roman power after Rome was sacked by barbarians. Romans celebrated the Neujahr on January 1st from 153 BC onwards. This means that Germania, as a Roman province, was brought under this tradition as well. Clearly, then, Roman traditions still stand in Germany to this day! New Year’s Day (Neujahrstag) is a public holiday in Germany, meaning that post offices, banks, government offices and the majority of businesses close on this day. Employees are given the day off to celebrate with family and friends and enjoy the holiday! There are often free public concerts on New Year’s Day. The most famous is the Neuhjahrskonzert (New Year’s Concert) by the Vienna Philharmonic Orchestra in Vienna, Austria. The Chancellor of Germany gives a speech every year celebrating Neujahr and encouraging citizens. For Germany, the day is not about individuals, but about coming together as a community to build a better future. One of the most intriguing German Neujahr traditions involves invoking meaning from lead. In order to predict the future, people will drop molten lead into cold water. 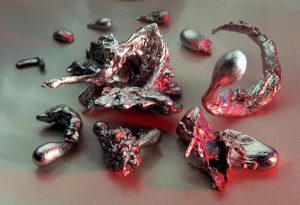 Then, the molten lead will solidify into a variety of shapes. These shapes are then used to make predictions for the coming year. For example, a heart-shaped piece of lead could mean romantic prospects. Another common example would be the shape of an animal meaning a year of abundance or wealth. While this tradition is slowly becoming less commonplace due to health concerns, many still avidly practice it! Neujahr is a time for food and celebration! This being the case, Germany has a variety of wonderful food traditions that accompany the day. One common dish for Neujahr is Herring served with cabbage and carrots. This sumptuous dish is believed to bring wealth in the coming year by some folks in Germany. Another popular dish that tastes delicious is lentil soup served with pork! It is a warming dish, as well as easy to make and share with friends. Finally, what Neujahr celebration could be complete without a Neujahrs-Toast! This toast is commonly made with German Champagne, although young children may use grape juice! Prost!